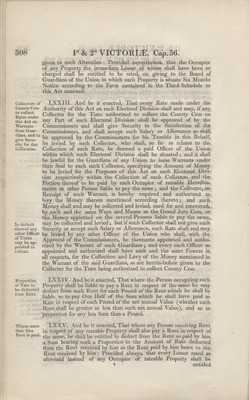 "Act of Parliament Under Queen Victoria (1838) 24"
"An act for the more effectual Relief of the destitute Poor in Ireland." Dated July 31, 1838. Image 24 of 44.